Main Street at New York Long Branch RR Matawan became a busy railroad junction in the 1870's with the completion of the first railroads through town. 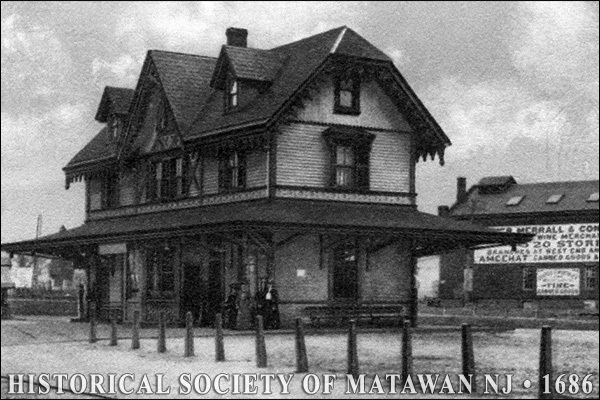 This 1875 Stick Style depot is among the oldest on the New York & Long Branch Railroad line. A similar depot at Red Bank, and the historic photo shown here, provide models for the restoration of this significant site. 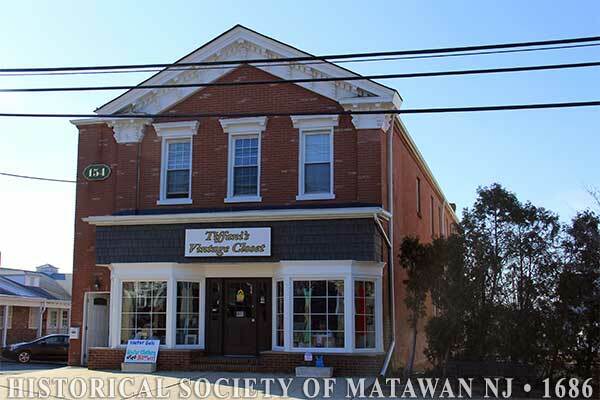 154 Main Street Built in 1854 as a dry goods and grocery store, this early store building retains its pronounced bracketed cornice and window trim seen on Italianate storefronts of the era. Asbury Fountain, the original proprietor, was a prominent local merchant and president of the Farmers and Merchants Bank. 10 Church Street This 3-story Italianate structure, built in 1857 and enlarged in 1874, was the home of a locally-prominent private school for 58 years. 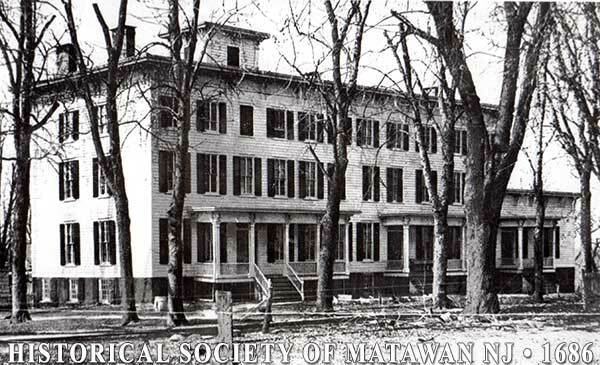 Established as Middletown Point Academy in 1834, it was originally located in a smaller building across the street. In 1874 it became known as the Glenwood Institute and finally closed in 1915. The former school has been successfully adapted to a new use as apartments. 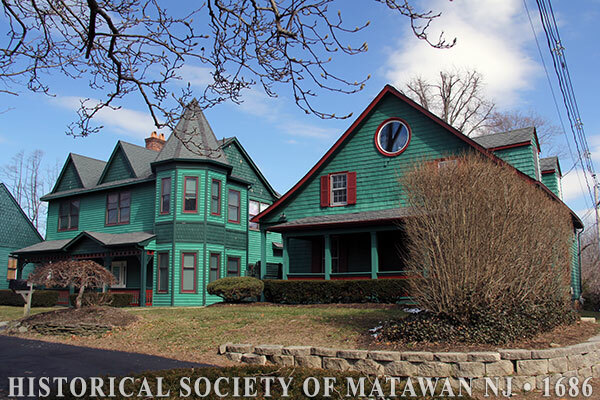 19 Mill Road Also known as the Hawkins House This Dutch-American house, identified by its steeply pitched roof with flared overhanging eaves and anchorbent framing, is the oldest house in Matawan and one of a select group of early Dutch houses in Monmouth County. Built in the early 1700's, it later served as a tavern during the Revolutionary War period, operated by Thomas and Phoebe Hunn.